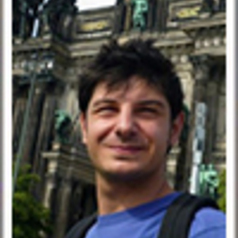 Diego Andreucci is a PhD candidate of the Institute for Environmental Science and Technology (ICTA) of the Autonomous University of Barcelona (UAB) and a Predoctoral Marie Curie fellow of the European Network for Political Ecology (ENTITLE). He holds a BA in philosophy and anthropology from “La Sapienza” University of Rome (2007), an MA in “Environment, society and development” (2010) and an MLitt in geography (2012), both from National University of Ireland, Galway. His research examines the political economic and ideological strategies which have mainstreamed and stabilised extractive industries-based development—or “extractivism”—in Latin America. Based on a comparative analysis of the Peruvian, Bolivian and Ecuadorian cases, his PhD project also engages with the political alternatives which emerge from local indigenous and peasant struggles against extractivism.